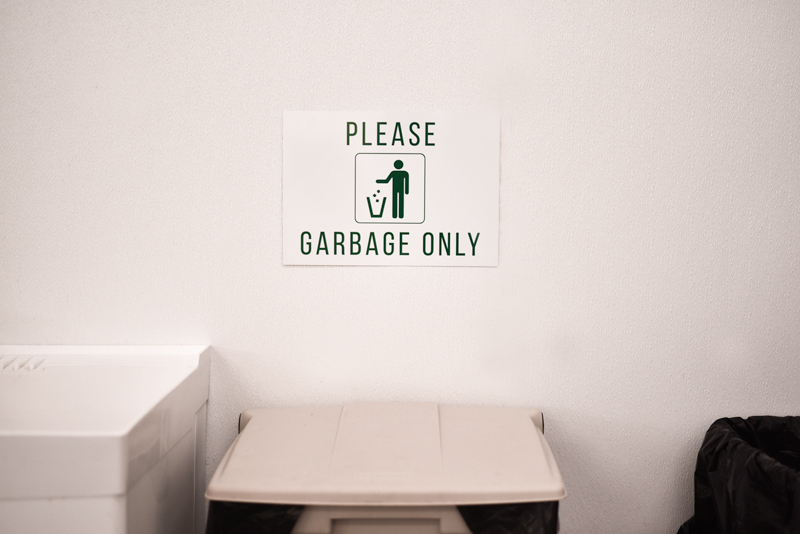 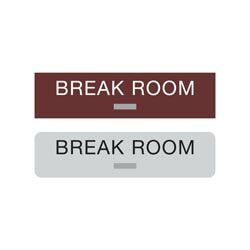 Label all of the garbage cans in your facility with these 14"W x 10"H low profile aluminum signs that can be adhered to any smooth garbage can or waste basket with double-sided foam tape. 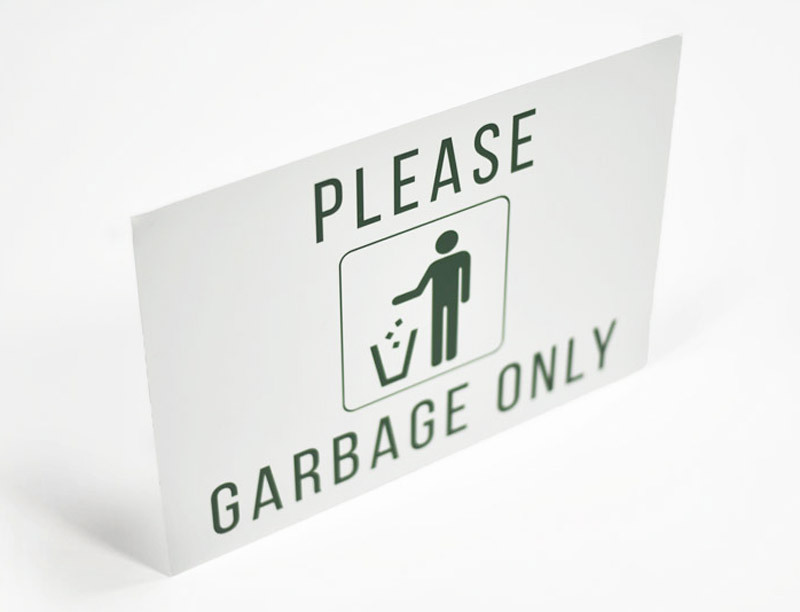 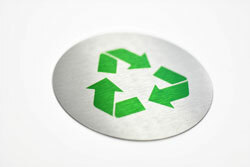 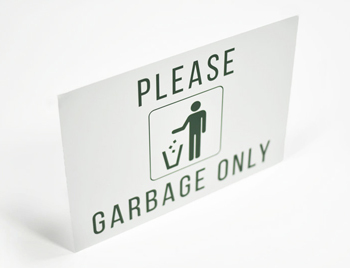 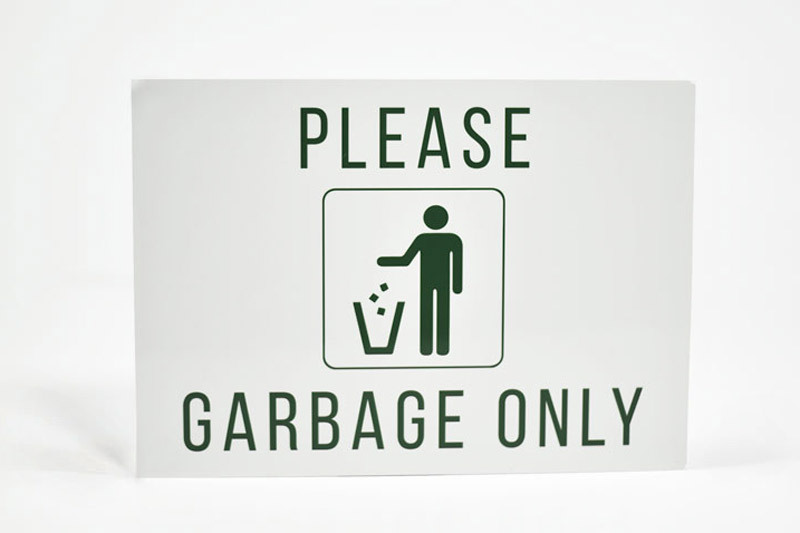 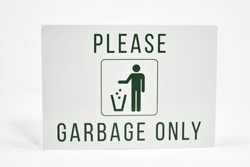 These 0.020" thick aluminum full color plates include a standard green trash can graphic and text that reads "PLEASE GARBAGE ONLY" (as shown in photo). 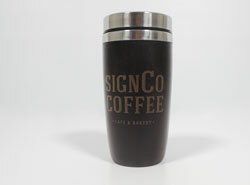 Mark cans and baskets in your break room, cafeteria, student union, medical facility, shopping center, or office building.